Glass treatments can prove to be a cost-effective service for both homes and businesses across North Dakota. These products can also protect your automobile for the miles ahead. It’s important to protect your glass surfaces from the rain and shine, 365 days a year. If you’re looking for top-quality window tints in the Williston area, Alpine Auto Glass is here and happy to help! Our technicians specialize in windshield repairs and replacements, but we’re happy to deploy our 3M™ window tints and films when needed for an ideal result. Today, we’ll highlight why you should trust our pros for your next window tinting project. When you’re done reading this post, be sure to contact us to schedule your free consultation! It can be hard to put a price on experience, and when it comes to window tinting services for both buildings and automobiles, our team is happy to rely on more than a decade in the industry to ensure your vehicle is safe and beautiful when it leaves our shop. Attention to detail is essential in this part of the automotive industry, and our pros are able to deliver the best quality each and every time. Commercial window tints, home tints, and auto glass treatments all rely on precision and know-how, and we’re ready to create an ideal result relying on our years of positive outcomes. We’re confident that we can deliver an affordable, professional result that will hold up to rain and snow year after year. If you have questions or concerns, our experienced technicians will be happy to help. Window tints come in all shapes, colors, and sizes, making it important for drivers to ensure they are relying on trusted products to outfit for their vehicles for success. Products of inferior quality can impede your view over the years, cracking, crinkling, and fading in color. While a professional window tint looks good on vehicles and businesses, a poor-quality system can provide the opposite appeal. Alpine Auto Glass relies on quality products from trusted manufacturers to ensure you are left with a high-quality outcome. We stock a full inventory of products, from rental passenger cars to buses, commercial trucks, and more. 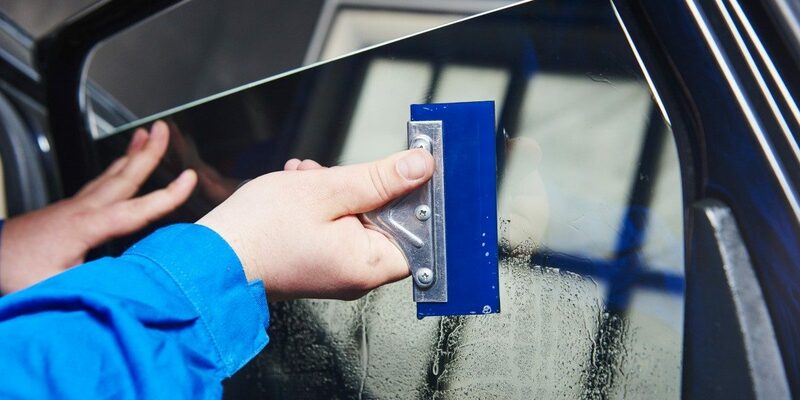 No matter the size or complexity of your project, our auto glass pros are here to help. Here at Alpine Auto Glass of Williston, customer satisfaction is our ultimate priority. We work hard to deliver the safest and most effective treatments for all of our customers, and we stand behind all of our work. You can rest assured that your window tints will provide years of protection, backed by our quality guarantee. Unlike many DIY window tints available that can begin to degrade after a couple of years, our products are backed by a lifetime warranty. You can invest in a high-quality window tint from our Williston pros knowing that your product will be covered in case of any deficiencies. All of our hard work combines to ensure that you are left with the best results for your vehicle or building. Auto window tinting can help to enhance privacy for motorists, allowing you to focus on your driving. If you’d rather keep your in-vehicle activities to yourself, our technicians can provide an ideal outcome that conforms to state regulations. Window tints can also reduce glare from a variety of objects, reducing eye strain and irritation. Over the long term, you can expect a lot more comfort on sunny days. This UV protection is also ideal for keeping your passengers safe from the harmful effects of sunlight. Window tints are also helpful in keeping your interior protected from the damaging effects of the sun. Delicate electronics, fragile plastics, and other products will weather better under a glass film. Don’t forget how much cooler your vehicle will be on a hot day! Business and home window tints can prove an invaluable tool for improving building safety, comfort, and more sustainability. Alpine Auto Glass can provide valuable services to coat your structure with one of a number of films and tints available. You can affordably protect your building with tints that block UV rays, enhance privacy, improve protection from the weather, and provide shatter protection. Window tints can also enhance the look of your building, transforming your glass into a luxury surface without the high cost. Be sure to ask our team about these services to see how we can improve your home or business!